In most cases, the ideal time to start orthodontic treatment is when all of the permanent teeth are in or close to being in the mouth. This is usually around 11 to 13 years old. However, sometimes there are certain conditions that should be treated at an earlier age in order to prevent bigger problems down the road or in order to achieve a better end result. When treatment is started at a relatively early age, it is usually necesary to do a second phase of treatment later on when all of the permanent teeth are in. This is called two-phase treatment. The American Association of Orthodontists recommends that children should be screened by an orthodontist by the age of 7 years old. 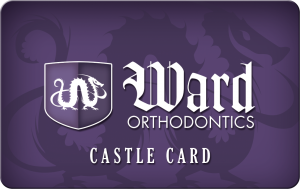 This allows the orthodontist to catch any potential problems early on. In our office, we only recommend two-phase treatment when we feel it is best for the child. Some examples of early problems include an upper jaw that is too narrow, crowded front teeth, crossbite, overbite, underbite, crooked lower jaw, or front teeth that stick out too far. Delaying treatment may lead to more invasive surgical procedures or less than optimal treatment results later on. The first stage objective is to guide teeth and jaw development so that permanent teeth removal doesn’t become necessary and further growth results in a good fit between upper and lower jaws. Thus this initial phase involves diagnosis, planning for specific treatments, and use of orthodontic appliances for correction and alignment. In this intermediate stage, permanent teeth are left to naturally grow through the bone and covering gum, a process known as eruption. If a clear path for growth had been established in the first phase, there should be very little chance of impacted teeth. Nevertheless, periodic check-ups are needed to monitor the growth and development of the child’s teeth and jaws. Sometimes it is necessary to remove baby teeth if they interfere with the eruption process. The second phase proceeds when all the permanent teeth have grown through the bone and gum. The goal at this stage is to fix permanent teeth location so that all parts of the mouth – teeth, tongue, cheeks, and lips – form a harmoniously functional and aesthetic whole. Full upper and lower braces are usually placed at this stage, for a period of 18 to 24 months. Afterwards, retainers are used to maintain the beautiful and healthy fit you’ve achieved through the treatment.